About an hour ago one of my answers was edited. However, I didn't get a notification of the edit in my inbox. I spoke to some other users, who told me they are receiving notifications of edited posts. So I suspect it's something in particular with my account, my settings, or something utterly stupid that I did while completely smashed one weekend and forgot about. Whatever it is, I'd love to start getting these notifications again. After some testing, I determined that I am getting notices for suggested edits, but not for edits made by 3K+ users. I believe this is by design. I have never received notifications of edits to my content, only ever suggested edits. Not the answer you're looking for? 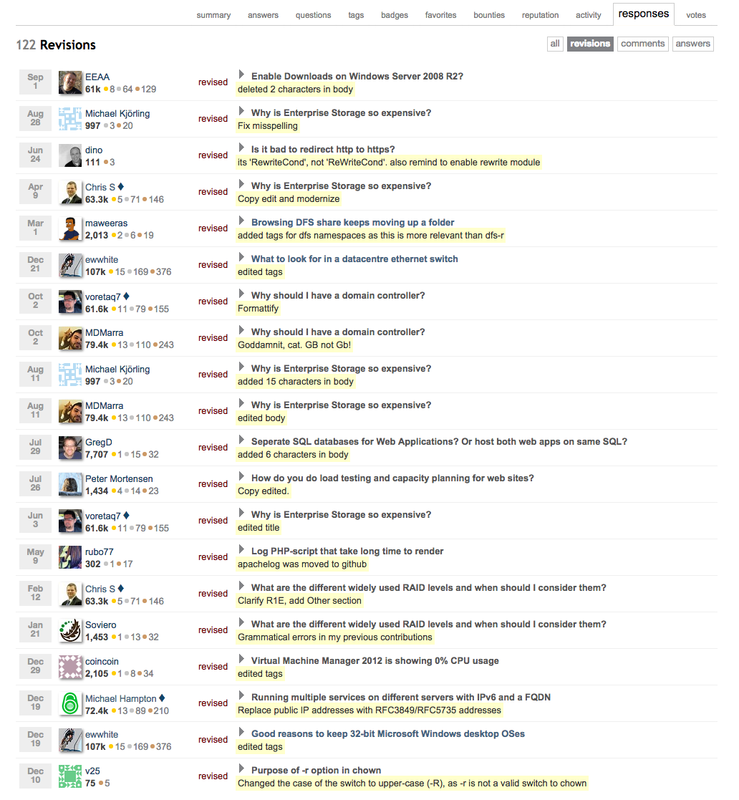 Browse other questions tagged support bug editing . “participant” is not clickable. Why? How to find out the number of edited posts?